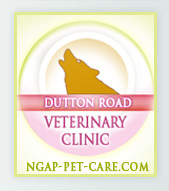 For this procedure, your dog's teeth will be cleaned using one of two different anesthesia protocols. 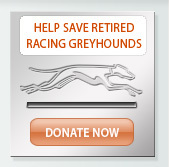 If your greyhound is just having its teeth cleaned it will be anesthetized using Dex-Domitor/Antiseden. Dex-Domitor will sedate your dog but will not put it into a deep sleep. Antiseden reverses the anesthesia and will wake your dog up quickly. If your dog needs more extensive work done, such as multiple extractions, we will use a general anesthesia in which we induce a deep sleep with Valium Ketamine and then administer isoflurane gas. The length of time your dog is under general anesthesia and the amount of isoflurane gas used will determine the price, to a degree. You will be charged for each extracted tooth additionally. If we are not doing any dentistry and are administering an anesthesia protocol for another procedure, such as a growth removal, you will be charged for 'Ultrasonic with Anesthesia' at a minimum of $150.00, even if we do not do dentistry, and there will also be a separate charge for the growth removal itself. Most greyhounds will permit us to ultrasonically clean the outer surface of their upper teeth, which is the area that builds up plaque the quickest, without any anesthesia protocol. The degree of work being done will ultimately define on the final price. 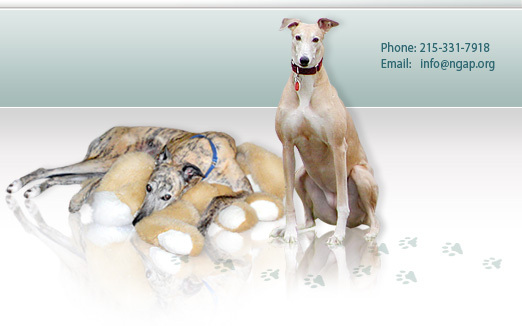 We will determine whether your greyhound only needs a touch-up or if it needs to be anesthetized for a more thorough cleaning once we visually inspect your greyhound's mouth. Our Biolase MD laser is used on the gum tissue of dogs with severe swelling and gingivitis. We will use the laser to go over all of the swollen areas which will kill all of the surface bacteria and will help to significantly reduce the swelling. The MD is also used to penetrate pockets between the gum and the root. By using this procedure, we kill all the bacteria within the pocket to create good blood flow. The laser does not burn or destroy the gum tissue or the root. The prices charged for extractions vary by tooth, based on the difficulty of extracting them. Bonding is a procedure that is done when a dog has extensive, root-exposed areas on a tooth that must be left in place. Canines often come under this category. The canine root is very deep and even with significant exposure, most of the tooth is still firmly implanted in the jaw. Bonding is a procedure borrowed from human dentistry and ultimately, through several steps, we achieve a result that will leave a root-exposed tooth smooth from the tip of the tooth to the gum so that bacteria can no longer attach itself to the tooth. I know of no other vet facility that does this procedure quite the way that we do it. Most veterinary practices do not offer bonding at all. We use our Biolase MD to desensitize root exposed teeth. Our MD laser closes the pores of the root exposed tooth with a very controlled beam of heat that will not burn the tooth itself. CO2 lasers used in most veterinary facilities do not have the ability to do this. We then bond the tooth for maximum desensitization. For humans, this procedure will literally change their life in how they feel and although our greyhounds cannot tell us that their teeth are painful, we are giving them the advantage of this procedure because we believe they are feeling the same things that we feel. Doxirobe is a gel that is mixed with the antibiotic doxycycline. It is applied under the gumline and injected into the pockets of infected gums. It then solidifies and continues to treat the infection inside the gums for several weeks. This treatment is used after cleaning with the Biolase MD and is appropriate for greyhounds with deep dental pockets. Just one treatment reduces periodontal pocket depth, increases reattachment of the gumline to the toothand reduces gingival inflammation. The Doxirobe treatment is one of the more expensive treatments we offer because the product itself is very expensive.